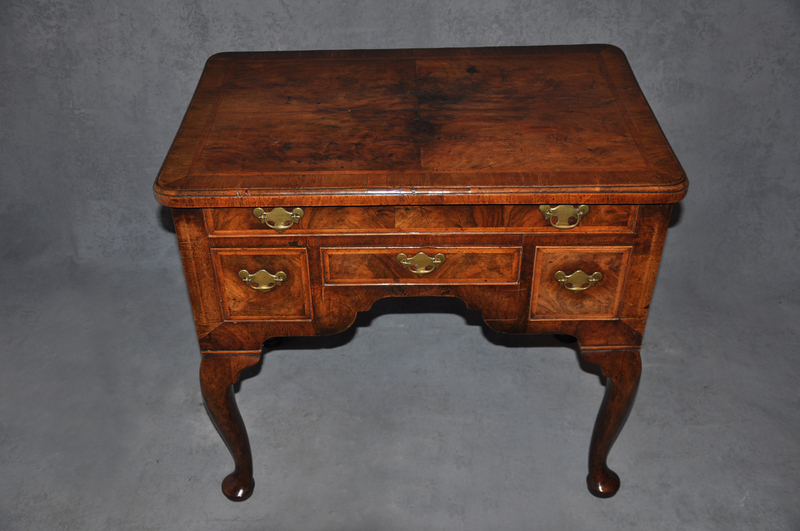 A very good 18th Century Figured Walnut lowboy of Superb colour, retaining the original handles. 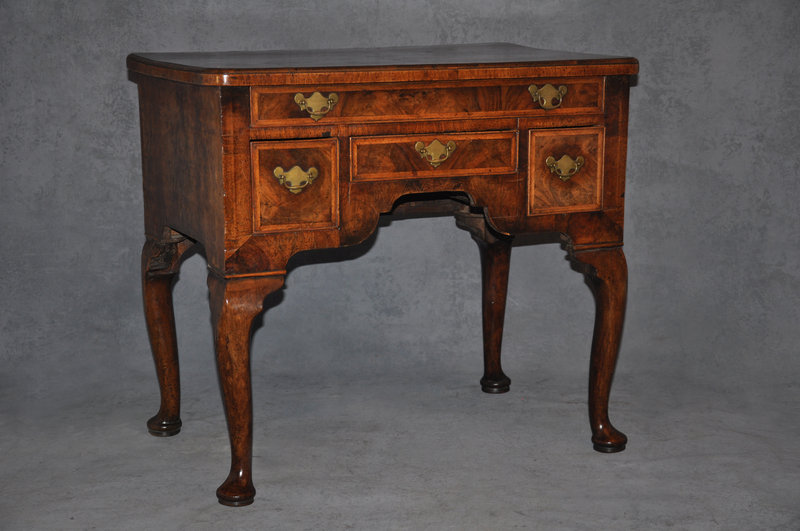 The lowboy has matched veneers throughout and lovely clean oak linings. 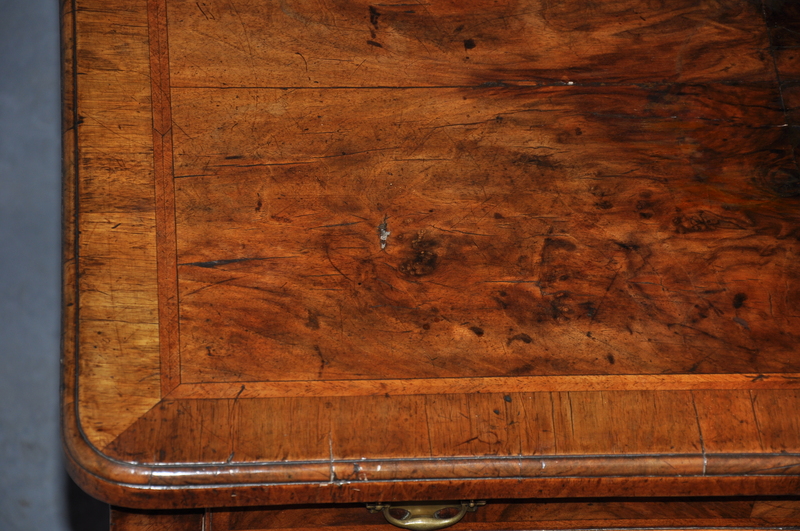 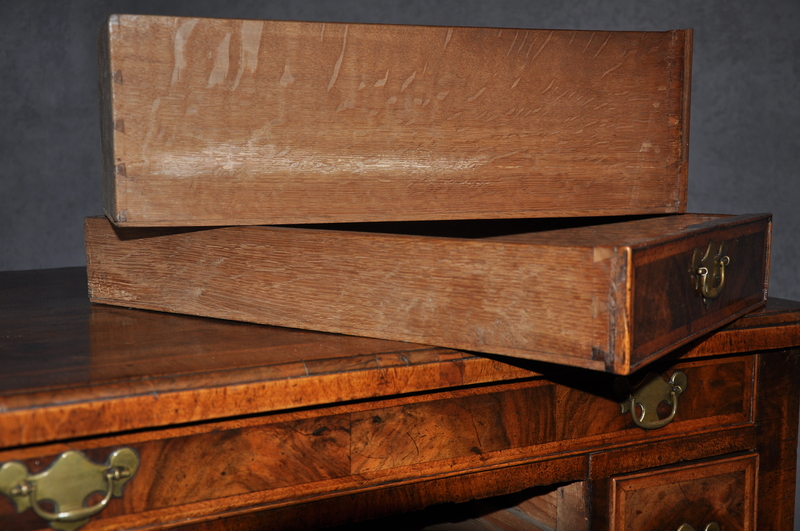 It is a nice feature and a sign of quality that the cabinet maker has gone to the trouble of fitting dust boards for the drawers to run on, this construction is not usually seen on such pieces, it is more commonly associated with chests of drawers.